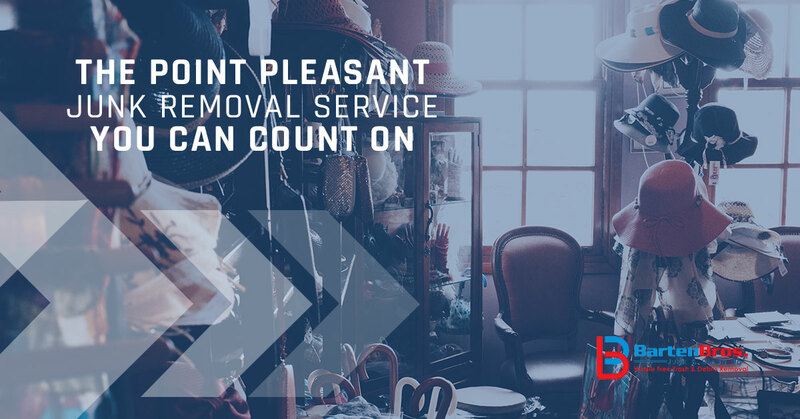 At Barten Bros we strive to be the Point Pleasant junk removal experts you can count on to get the job done the right way. As a family-owned company we strive to offer the members of our community a valuable service at a fair price. We know all too well how easy it is to accumulate things you don’t want or need and how much more difficult it can be to get rid of those things. Barten Bros to the rescue! We’re proud to offer a number of different services to ensure that our clients get exactly what they need. As a matter of fact in today’s post we’ll highlight a handful of our most popular services. Do you need us to haul away junk at your home? Keep reading to see how we can help. Have an old appliance that you need to get rid of? It’s incredibly common to purchase a new fridge, stove, dishwasher, or clothes washer and dryer; what’s not as common is finding someone who can get rid of the old appliance. Fortunately for you, we’re here to help! When you need someone to get rid of your hot tub, look no further. Whether you’re renovating a home and have no use for the hot tub or it’s time for an upgrade, you can count on us. When the car stops running, it can end up sitting in the driveway. Obviously you can’t get it from Point A to Point B, so what are you to do? Give us a call, of course! Planning a remodel or renovation? There’s a possibility that you can tackle some of it yourself, but if you’re in need of a company that offers demolition services who can get you started off on the right foot, our team has plenty of experience in doing all kinds of work. No job is too big or too small for us! Perhaps the time has come for your business to relocate. You don’t need to take everything with you, so what’s a business owner supposed to do with what’s left? Barten Bros offers commercial clean out services, allowing you to make a smooth transition into your new space. We also offer services such as site work, mobile container rentals, computer recycling, and more. We even specialize in helping out with hoarding situations! No matter the situation, you can count on us to lend a helping hand and do it with a smile on our faces. As the go-to Point Pleasant junk removal company we have taken on a number of jobs over the years and there’s nothing we’d love more than to help make your home a better place to live (or your business a better place to work!). Whether the job is small and simple or a bit more complex, we’d love the opportunity to help. Contact us today to get a free quote. We look forward to hearing from you!